Pantomime is the art of using movement and facial expressions rather than primarily the spoken word to communicate. The word pantomime has been used to refer to both an individual as well as an actual production or performance. An individual can also be called a mime. Most pantomime is presently seen presented within other forms of theatre rather than as an art to itself. Many clowns use elements of pantomime rather than presenting themselves strictly as a mime. In addition, one acting things out in a situation to communicate where one doesn't speak the local language might easily be described as "mimicking." This is an example of using the pantomime's skill of silently communicating through body movements without actually being a mime. Come join us each Fall for for our annual Pantomime Show. Duo-Scene Show. The event everyone wants to do with a best friend. But duo is about balance. Partners need to compliment one another stylistically, have a similar skill set and work ethic. Chemistry is an important element of a duo-scene, but chemistry outside of a practice/performance setting does not always translate to chemistry when practicing or performing. The Duo-Scene Show is an event where scenes can be dramatic, comedic, or a combination of the two, making duo one of the most unique forms of performance. The main objective is to maintain a sense of balance between performers that focuses on the relationship(s) between the characters they create. Two actors team up to deliver a 3-5 minute performance of a published play or story. Actors convey emotion and environment through a variety of performance techniques focusing on the relationships and interactions between the characters. A few props or costumes are used, and minimal set pieces are brought in for the performance. Come join us each Spring for for our annual Duo-Scene Show. Experts say even ten minutes of exercise is better than none at all. But could the same be true of theatre? For our student directors the 10-Minute Play Festival, the answer is yes. Each play is a whole tale, and what's nice about the format is that if you don't like one of the segments, just wait ten minutes. This year's 10-Minute play festival will feature Gilbert High School's debut student directors. Come join us each Fall for for our annual 10-Minute Play Festival. A one-act play is a play that has only one act, as distinct from plays that occur over several acts. One-act plays may consist of one or more scenes. In recent years, the 10-minute play has emerged as a popular subgenre of the one-act play, especially in theatre competitions. Join us each Spring as our Intermediate Class pulls together to produce their very own One-Act Production. This student driven project allows the student to explore the different areas of theatre. Modern drama, which developed around the turn of the twentieth century, focused on alienation and disconnection. These themes can be seen in some of the most famous plays of playwrights such as Henrik Ibsen, George Bernard Shaw, and Eugene O'Neill. Join us for our interpretation of a Modern One-Act Student Directed by Advanced Theatre. Check out the Advanced Theatre's touring One-Act as they attend local Jr. Highs promoting the Gilbert Theatre Ensemble and the benefits of participating in a theatre arts program. Students prepare and performance material selected by them or self-written. They then produce the material right from the start, integrating both acting and technical theatre in the process. This year's Advanced Theatre Class is proud to present a Shakespeare One-Act. There is no better training than theatre to teach life skills to children. And arguably the most powerful, efficient and economical theatre training a young person can undertake is learning to act in Shakespeare’s plays. 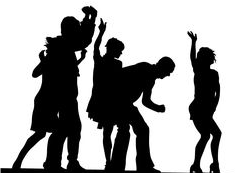 The study of acting in all plays teaches young people to read and interpret the body language, verbal, social and status cues they receive constantly from peers and adults, be they on stage or in real life. All theatre harnesses the imagination and creative intellect of the child to the practical project, the challenges and problems of producing and performing a play with a target deadline. All theatre teaches children to conquer their fear of being vulnerable, of exposing their emotions. They learn to trust their cast-mates and themselves, to “do battle”, scene by scene, with each other, live, under lights, in a large room full of strangers. 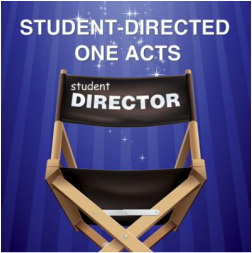 Join us for the annual Student Directed One-Act Play Festival! These plays may be short, but they pack a ton of fun and laughs into a small span of time. Perfect for those with short attention spans, this evening of One-Acts is sure to delight. Directed, performed, produced, and sometimes even written by Gilbert High School students, these shows will leave you laughing, crying, and hopefully wanting to see more! Performance Theatre competes in the Arizona Thespian Festival and State Acting competition along with other State and National competitions. 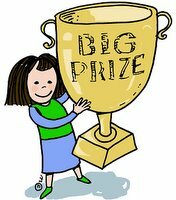 These Festivals/competitions features events that stress performance and technical skills. It is sponsored by Arizona State Thespians and AIA. Events, with the exception of Tech Challenge, are non-competitive giving ratings (as opposed to rankings), so designed to be an enjoyable learning experience for all participants. The Arizona Thespian Festival serves as the qualifier for the International Thespian Festival regarding One Act Plays (Chapter Select Showcase). At this State Festival, schools may enter one student per Individual and Tech Event. Exceptions are Group Musicals, Group Acting and Reader’s Theatre. Schools may enter a single One Act, one Group Musical, one Group Acting and one Reader’s Theatre. Students must be in the Performance Level in order to be considered for completion. Additionally, only Seniors who qualify after auditions will be considered to represent the school for Scholarship Opportunities.